So what started off as an ordinary week has turned into something rather special. Isn’t it lovely when the extraordinary happens! Whilst I am still reading Caitlin Moran, this week has been exceptionally busy and full. 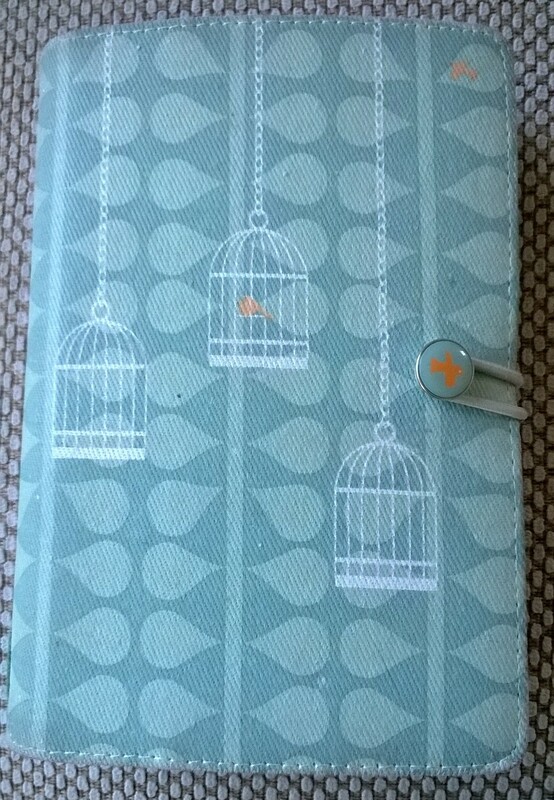 My main reading has definitely been my lists and diary and making sure I am where I need to be, with the Guide show at the weekend there have been lots of lifts to rehearsals, with more still to come. Sometimes no matter how organised and efficient you are, there are weeks that you cannot control and its just a matter of getting on with the whole madness of it all, however I’m hoping for a quieter time next week. 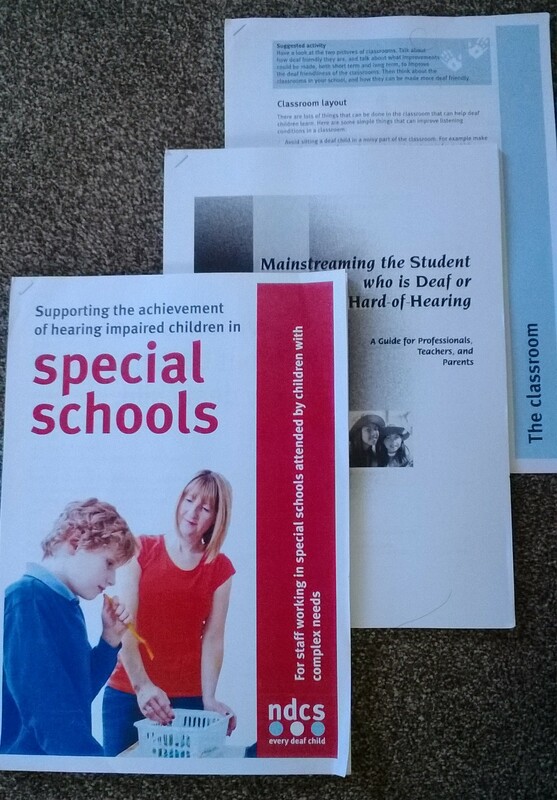 I have also been busy at work and have done a lot of professional reading mainly around hearing impairments. Fortunately its an interesting topic and I have enjoyed my research. It has made me realise how easy the Internet has made it to get such specialised information so easily. A radio advert for a forthcoming interview with A-ha had me reminiscing this week as A-ha were my big teenage crush, posters of Morten, Mags and Pal adorned my bedroom and I have screamed, swooned and sung along with them three times in concert. The reminiscing meant that at the gym this week I have listened to some of their back catalogue and remembering just how good some of their lesser known songs really are. Crying In the Rain, Hunting High and Low, Stay on these Roads are beautiful songs and I’ve really enjoyed the warm, fuzzy memories. 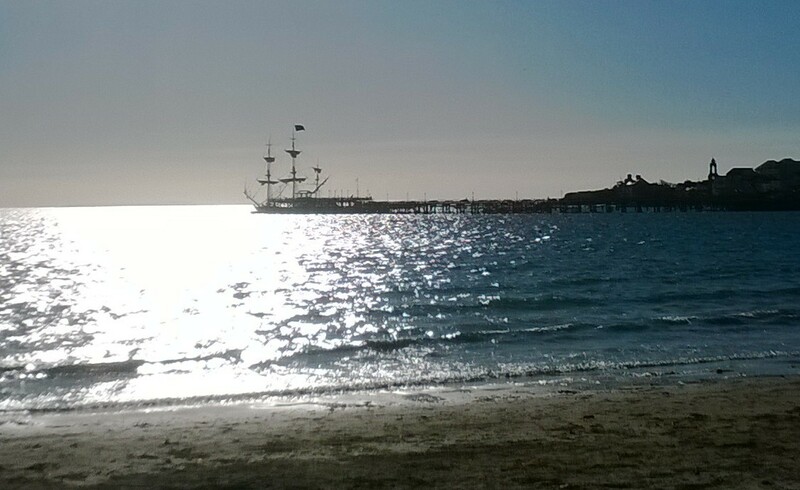 The Pirate Ship and Pirates! This is the most surprising category this week, I thought the best thing I would come up would be watching the London Marathon on tv, for me one of the most inspiring, emotional and motivating events of the year, I can’t watch it without a few tears. I did watch it and enjoyed every moment of it, the good bye to Paula Radcliffe, looking in the crowds for running friends and the fun of following them on the tracker. However, my real delight this week has been watching a film being filmed in our little town. 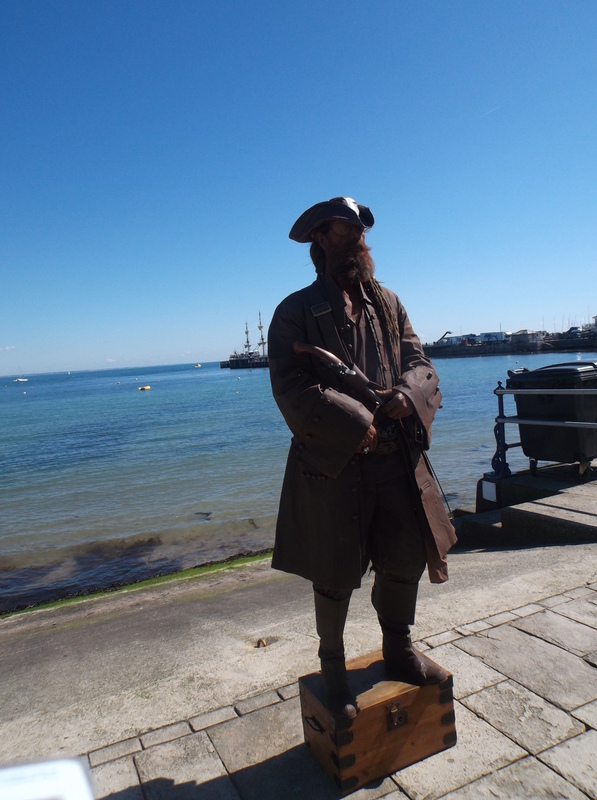 The rumours started on Sunday when a pirate ship arrived at the pier, Hollywood names were rumoured to be in town and there was a real buzz. On Monday, I saw the ship on my way to work and decided that it was an exciting opportunity to show my class a film set. One of the advantages of teaching in special education is that classes are small with lots of staff so such an impromptu trip is quite easy to organise. We walked down on Monday morning, such a beautiful day and headed towards the pier, as were most of the town! 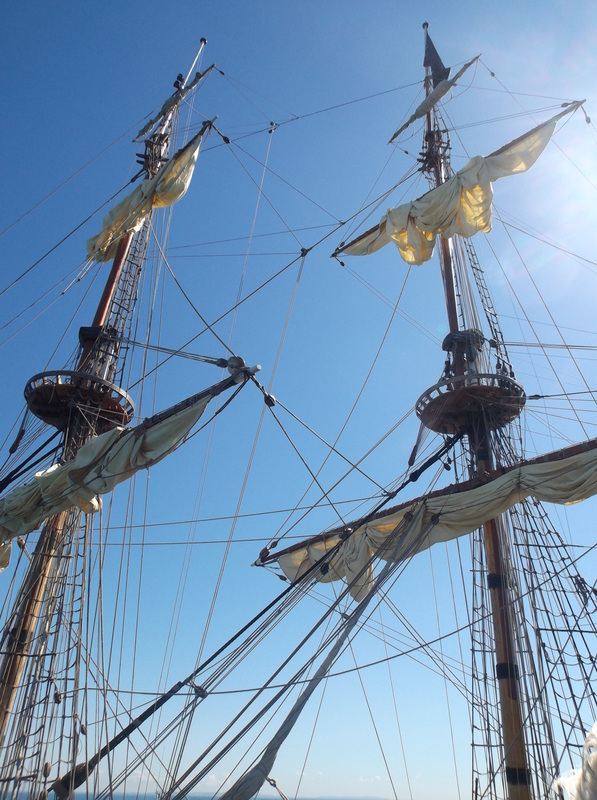 We were allowed on the pier and when we got to the end we had a stunning view into the ship where we could see the cameramen, make up artists, runners and actors, it was fascinating! I got talking to a props lady who was making kites and she was able to tell us that the filming is for a special on ITV at Christmas of the story of Peter Pan. It was lovely to be able to take my pupils but I wanted Little Man to see a pirate ship too, so on Wednesday afternoon, I took him to see the ship whilst Little Miss was at ballet. 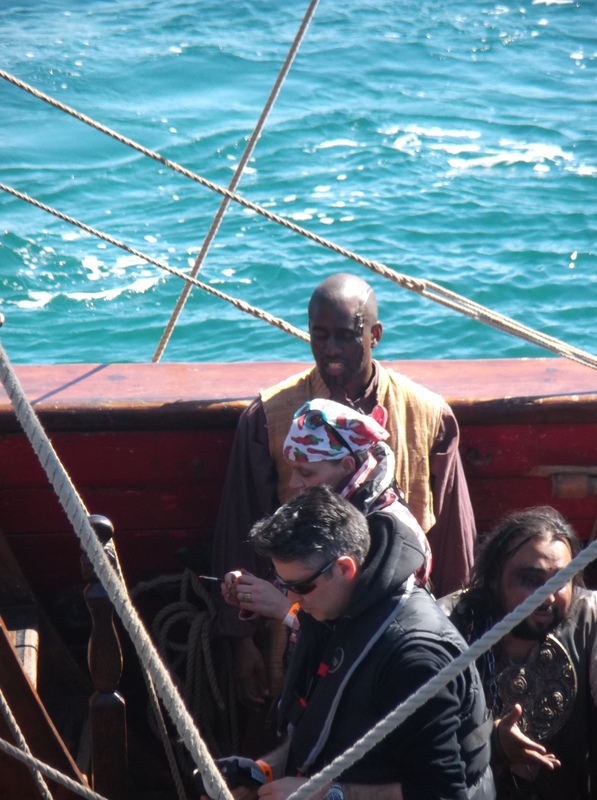 There was less to see as it was the final full day of filming, but we did see a rather magnificent Captain Hook and his crew and spied some cast climbing high to let the sails down. Again there were lots of people on the pier, a real treat for all the local school children. I love the random things which happen in our town which we all embrace! Again another unexpected delight this week at work when I accompanied my class to a workshop given by a local artist to create a sculpture for an upcoming Arts week. 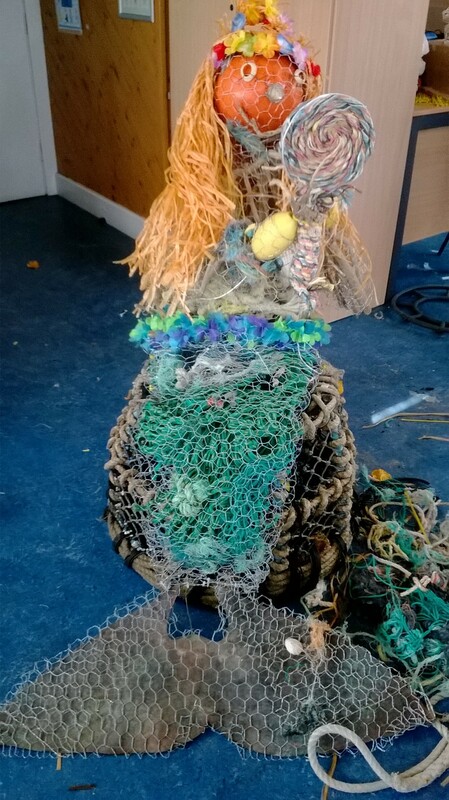 Our artist was a very talented sculptor who taught us how to create models from chicken wire and use items swept up from the sea. Initially we did some fish which were simple but really stunning and then moved on to create the mermaid above. The project was brilliant, we all worked together so well and there was so much creativity, co-operation and fun. These are the moments I became a teacher for, working with children to create something, no pressure to record levels or assess but just to participate, enjoy and reflect. My other make this week is for Little Miss’ class cake sale tomorrow. They are raising funds for a fellow pupil’s brother who is very poorly and needs pioneering treatment. Its a very sad situation and I am impressed how the school are supporting the family. 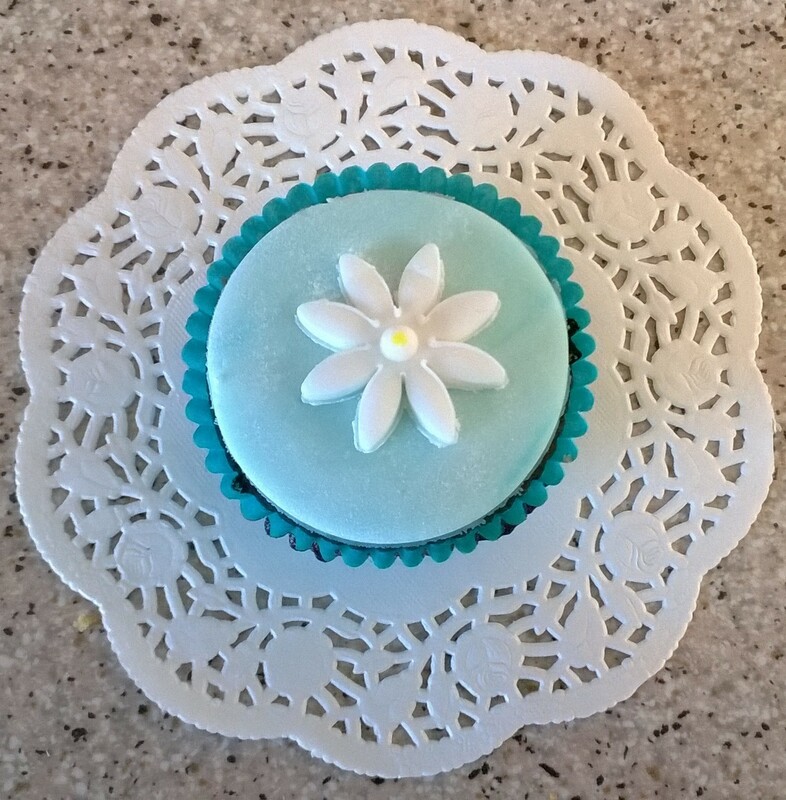 As its my day off today I’ve baked and decorated some white chocolate and lemon cupcakes with a daisy theme for the tops. I did have a bit of a clothing crisis when I was trying to find something to wear to a party on Saturday night. It was one of those evenings when I had minutes to get changed and pulled out most of my wardrobe, tried it all on, had a wobble and just went with a simple outfit. I don’t often get dressed up to go out and it showed! However when I arrived to pick up my friend she was having the same anxieties, it seems a long time ago since we used to sit in the café on a Saturday morning with our White Stuff and other favourite catalogues and plan our outfits. Needless to say it was a time B.C. 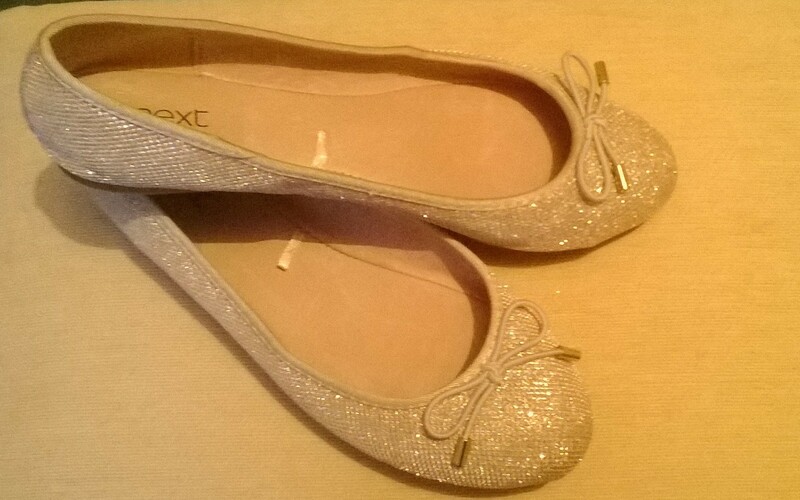 ( before children) The one certainty of my outfit was my sparkly shoes, they do add a little sparkle and glitter to any outfit.